Leah is an Associate Professor of Nursing (Primary Health Care) within the School of Health and is a primary and co-supervisor of HDR and Honours students. Leah’s research portfolio is largely focused on risk management within the context of vulnerable and marginalised populations. Her research interests include women’s health, public health, family health, Primary Health Care, adolescent health, sexual health and wellbeing, nursing, patient experiences and patient safety. 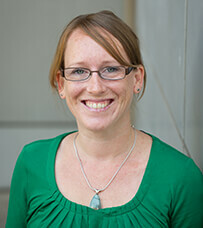 Leah has a range of research methodological experience with particular expertise in qualitative research and approaches. Her teaching experience extends across both undergraduate and postgraduate nursing and at all year levels. Leah is a well published researcher, known at both an international and national level particularly for her work focused on sexual health and wellbeing.